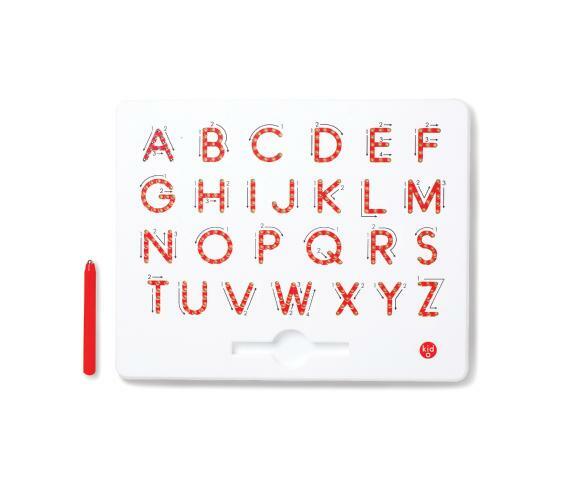 Children writing their first letter will get helpful up, down and sideways instructions via easy-to-follow arrows. A magnetic stylus pulls beads up to create a sensory-based learning experience. Dimensions: L: 11.8" x W: 9.5" x H: .75"